KBB.com Brand Image Awards. Only 5,684 Miles! Boasts 29 Highway MPG and 23 City MPG! Carfax One-Owner Vehicle. This Mazda CX-5 boasts a Regular Unleaded I-4 2.5 L/152 engine powering this Automatic transmission. 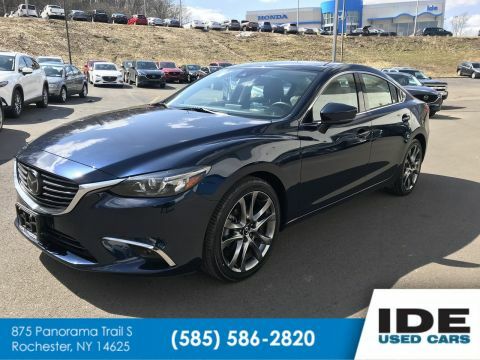 PARCHMENT, LEATHER SEAT TRIM, DEEP CRYSTAL BLUE MICA, Wheels: 19 x 7J Aluminum Alloy -inc: dark graphite w/machine finished face. 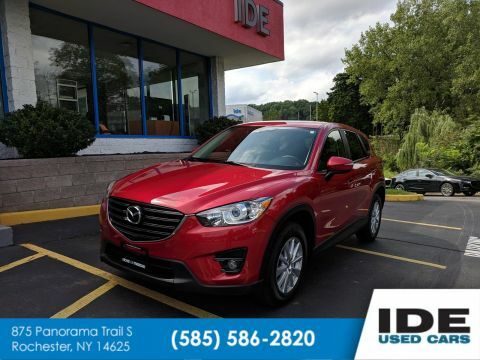 * This Mazda CX-5 Features the Following Options *Trunk/Hatch Auto-Latch, Trip computer, Tires: P225/55R19, Tailgate/Rear Door Lock Included w/Power Door Locks, Strut Front Suspension w/Coil Springs, Steel Spare Wheel, Smart Brake Support and Rear Cross Traffic Alert, Side Impact Beams, Selective Service Internet Access, Seats with heated cloth Black Material. 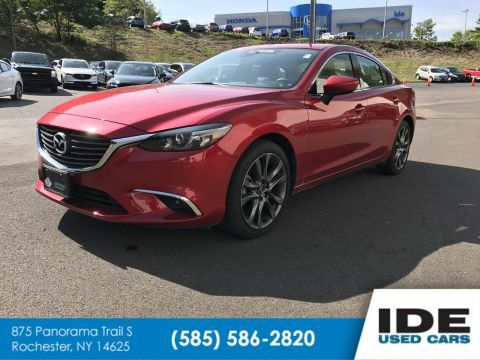 * Know You're Making a Reliable Purchase *Carfax reports: Carfax One-Owner Vehicle, No Damage Reported, No Accidents Reported, 5 Service Records. 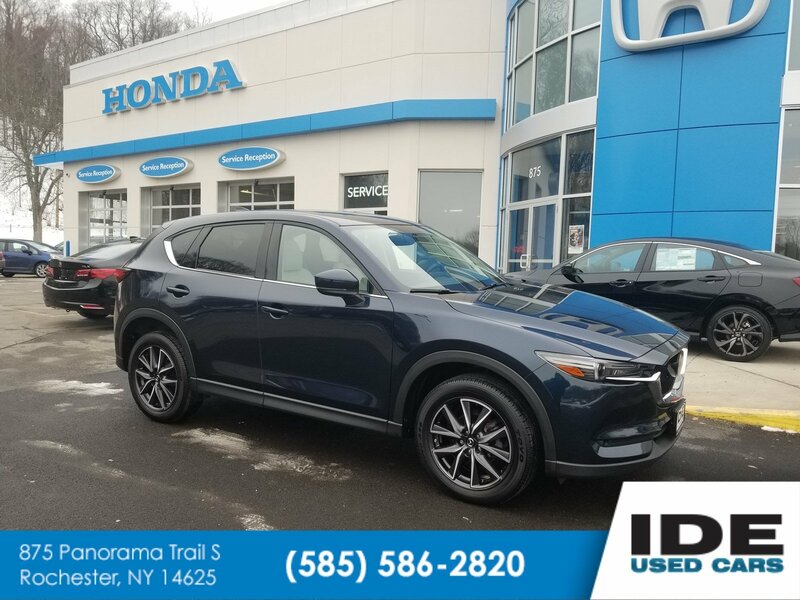 * Visit Us Today *A short visit to Ide Honda located at 875 Panorama Trail South, Rochester, NY 14625 can get you a reliable CX-5 today!